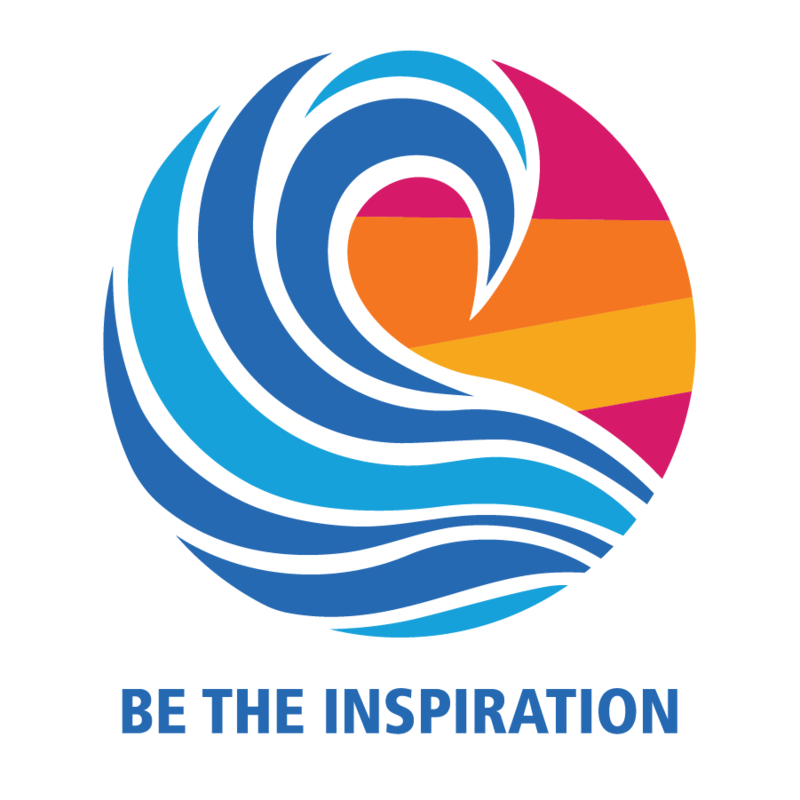 Founded in 1911, the Rotary Club of Providence is a fellowship and service organization of men and women dedicated to the Rotary motto of Service Above Self. We are one of over 35,000 clubs in more than 150 countries, with over 1.2 million members. We serve the local community with active support for literacy and the arts. Our wide-ranging partnership with Providence's Harry Kizirian Elementary School includes placing a small library in each classroom through the generosity of a longtime member, having Rotarians read to students, and a beautification effort with Rotarians adding brightly colored paint along the corridors and creating an imaginative mural based on student drawings in the main lobby. The annual Providence Rotary Paint-off features local artists painting new works as members and guests watch them work, followed by a live auction where bidders can "buy before the paint is dry." The Providence Rotary Street Painting Festival allows artists of all ages to create highly imaginative chalk drawings and compete for cash prizes. Proceeds from these events support the Providence Rotary Charities Foundation, which distributes grants totaling more than $50,000 each year to local agencies serving children. Our weekly meetings feature interesting speakers and opportunities for members and guests to socialize. Fellowship activities include a bowling league, a book club and parties for almost any occasion. If you're interested in serving your community and adding enjoyment to your life through the company of like-minded men and women, we're interested in meeting you! 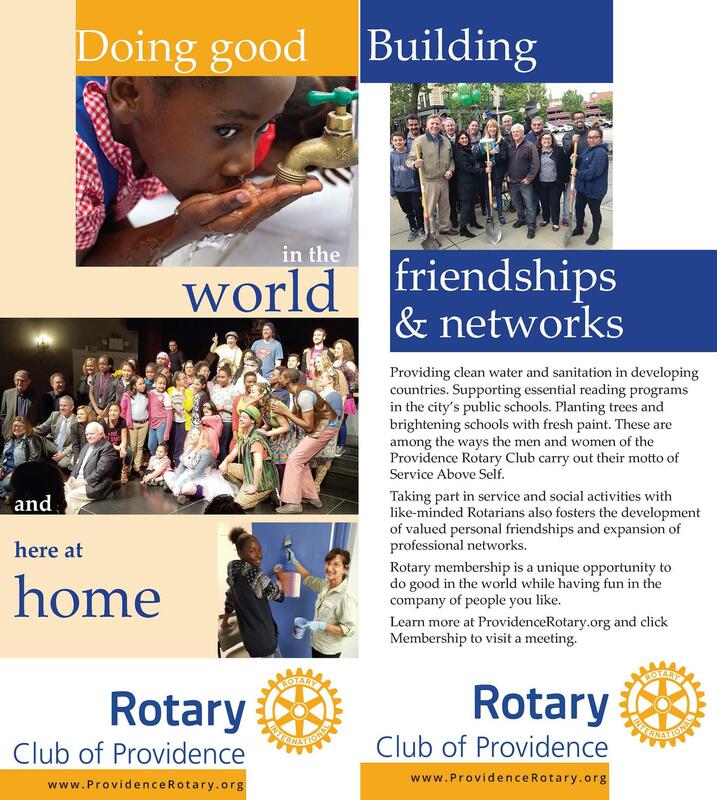 Email secretary-at-providencerotary.org to learn how you can become a Providence Rotarian.